For those of you celebrating, I hope you are having a wonderful Christmas! 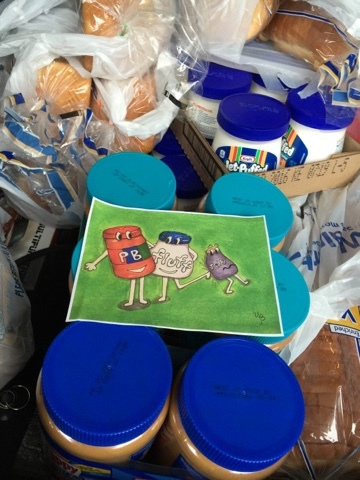 Every year on Christmas Eve, our synagogue hosts a peanut butter and fluff sandwich making day for our local food bank. We have participated in it the last three years. 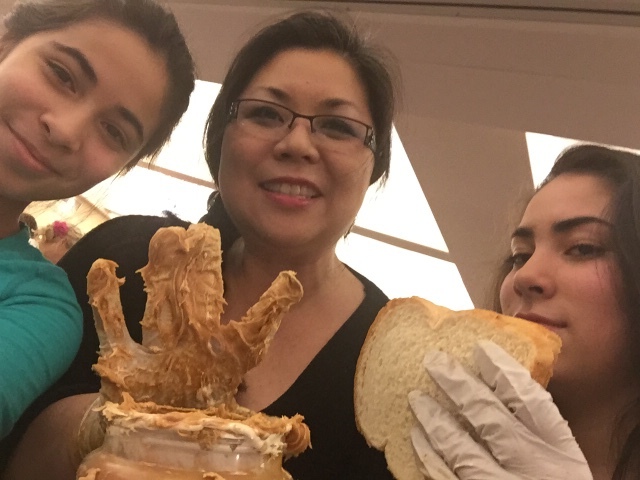 It's always fun to get together with other families making sandwiches. We took with us 6 large PB, 12 fluffs, and 12 loaves of bread. We ended up making 20 loaves worth of sandwiches. I don't celebrate Christmas at home, my family will celebrate with my side of the family when we visit them in Arkansas. It is now my sister and mom. When dad was still with us, I used to bake variety of cookies for him and mom. His favorites were these Cream Cheese-Lemon Bows. These are delicate and sweet. 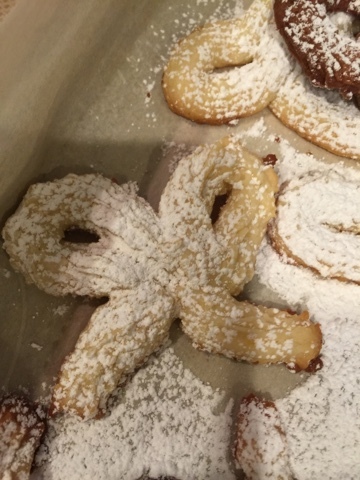 You put the dough in a pastry bag and pipe a bow shape before baking. The cream cheese and lemon give these cookies a sweet/tart combo. 1. Preheat oven to 375 degree F.
2. Put butter and cream cheese in the bowl of an electric mixer fitted with the paddle attachment. Mix on medium until creamy. 4. Bake cookies until golden brown about 12 minutes. Once the cookies are cool, sprinkle with powdered sugar. 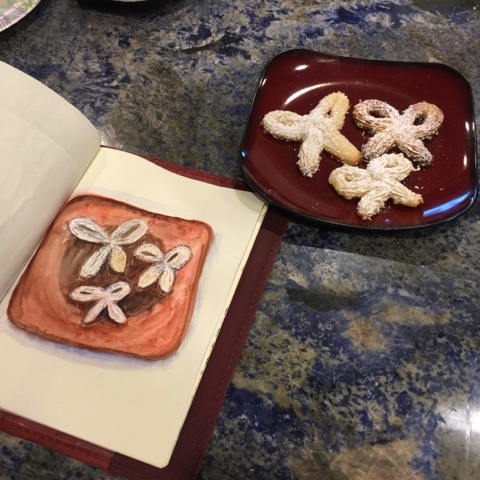 I hope you give these cookies a try!